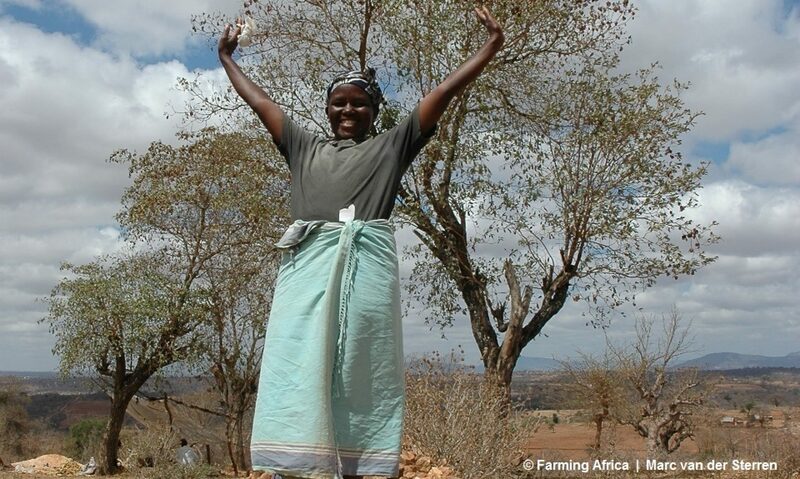 Smarterfarmers.org is an interactive essay by Farming Africa. The vision is clear: With the empowerment of smallholder family farmers through providing them access to independent information we can end hunger, reach all 17 Sustainable Development Goals and Africa can become the world’s breadbasket. The first version of this essay is written in the first months of 2017 by Marc van der Sterren. It’s published in full on www.smarterfarmers.org as a product of constructive journalism (as explained on page 79). The website provides a possibility to comment on the content and even discuss. Every contribution that will strengthen the vision as described in this essay will gratefully be used as input in this essay. But this is also a discussion paper. So if anyone can tell me if I’m wrong, please let me know! I am really interested. This makes the essay interactive. You can order a traditional paper edition. It will be printed on demand. This means, you will order the latest version of this essay, but possibly not the last. The essay continues. Thanks to people who were involved in the content. Ton Dietz, who not only wrote the valuable preface of this book but also had overall very critical comments on the content of the book and even warned against some serious failures. Jeroen Boland, who also did some good editing on the content before the first version appeared online. Desiree Oude Groeniger, who had some crucial remarks on the content, from her point of view which has taken shape by her knowledge and experience in this field. This list of names can become much longer. Every name that will be added to this list improves the essay and sharpens the vision. A vision that’s needed to work on projects that empower farmers. And a vision that needs to be shared with policymakers, the public opinion, politicians, educationists, farmers and their organizations. So please leave your comment. Or send an email to smarterfarmers@farmingafrica.net. Because this world needs SMARTER FARMERS.